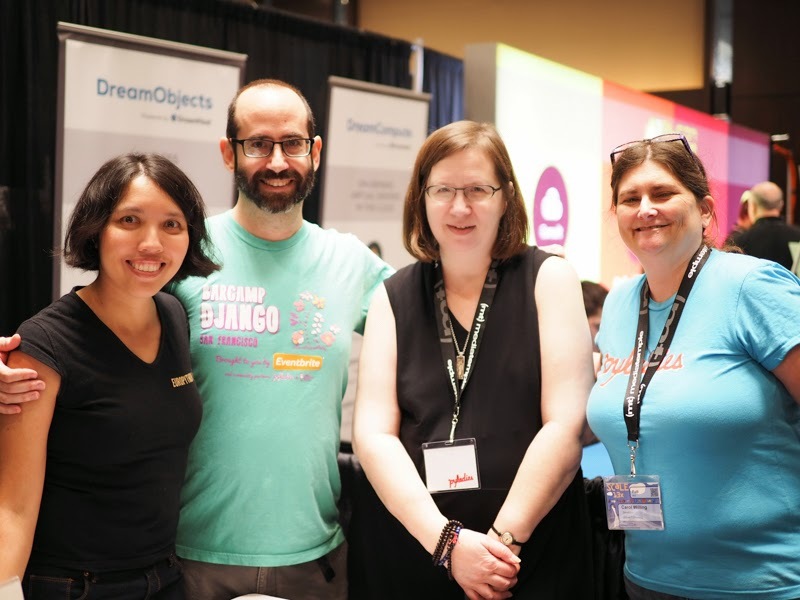 This weekend was the 13th annual SoCal Linux Expo, or SCALE13x. It's held every year at the LAX Hilton. 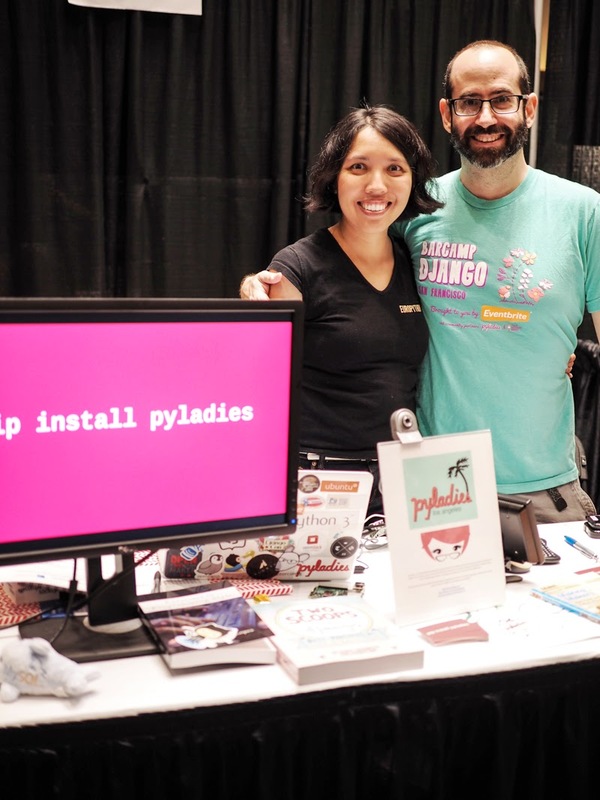 The Python and Pyladies community booths were side-by-side, with both booths representing members of various Python and Pyladies user groups throughout Southern California. The setup sounds formal, but it was more like a friendly Python user get-together at the booths. People often came and stayed just to hang out. It was great to catch up with friends whom I haven't seen in a couple of years. 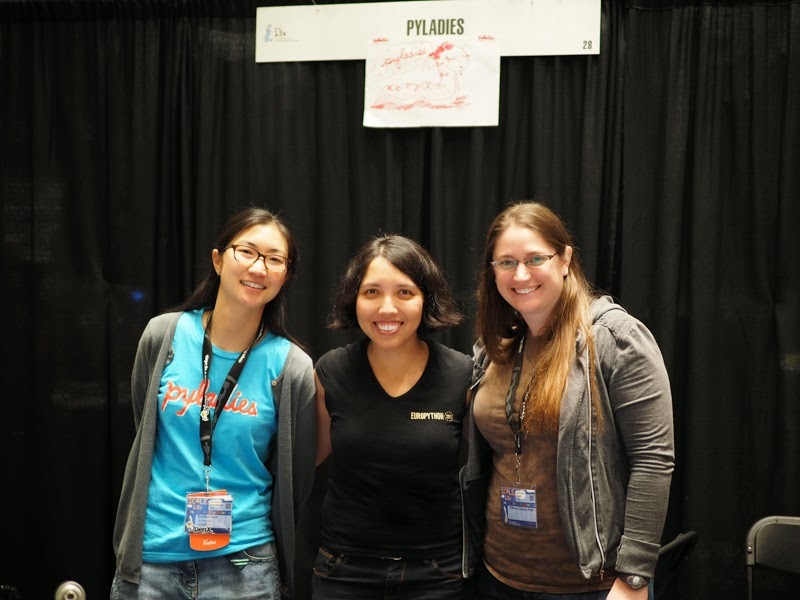 We also got the opportunity to invite a lot of people who came by to future Python/Pyladies meetups throughout SoCal. Audrey and Daniel (that's us! ), Debra, and Carol (San Diego Pyladies co-organizer). 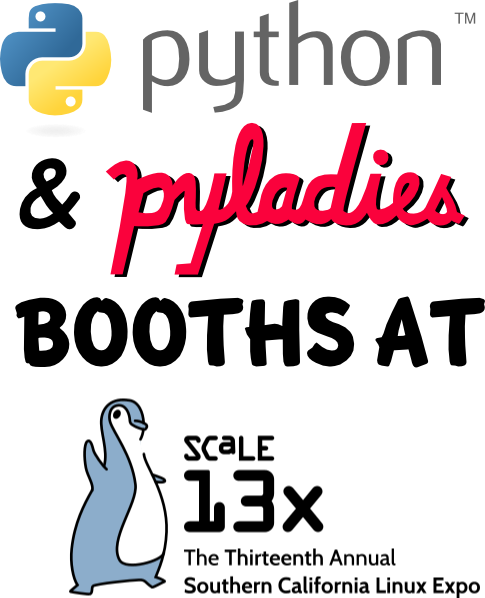 Special thanks to goodwill for organizing the Python booth, and to Carol Willing for organizing the Pyladies booth.